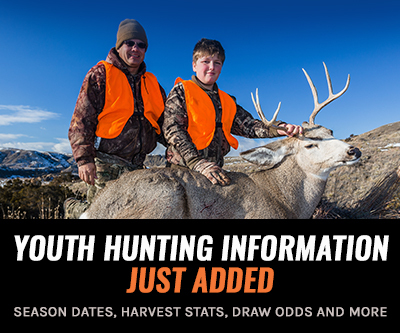 Hunting is all about gaining an advantage over the game that you are hunting if you want to be successful. This is why we use high-powered optics, wear scent-concealing agents, and, most importantly, blend into our environment. Camouflage gives hunters a major advantage by concealing us in the environment. There are countless patterns of camouflage, all meant to blend into certain terrain and vegetation. 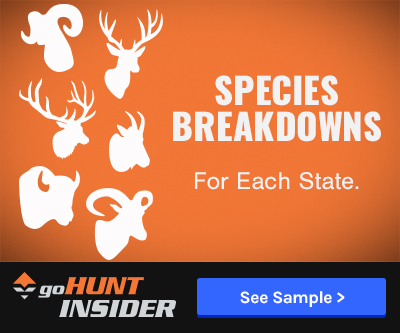 It does not make sense to spend money on binoculars, spotting scopes, cover scent, camouflage clothing for your environment, and then be carrying a gun that does not blend into the environment. 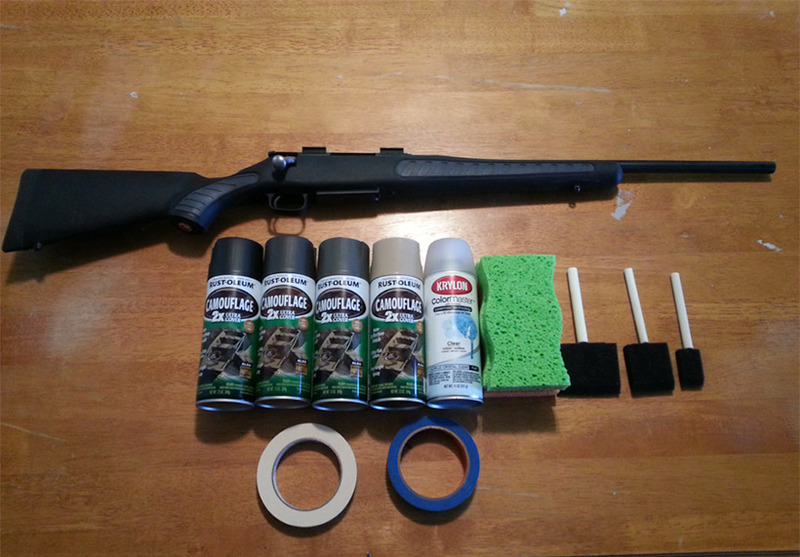 Below is an easy way to make a custom camouflaged gun for any terrain. This year will be the first year that I am hunting in Colorado, after hunting my entire life in the Gila and the desert of New Mexico. This type of change not only requires a change in hunting strategy, but also in camouflage. All of my guns are painted to match the terrain of New Mexico and this will not be effective in the high Rockies of Colorado. 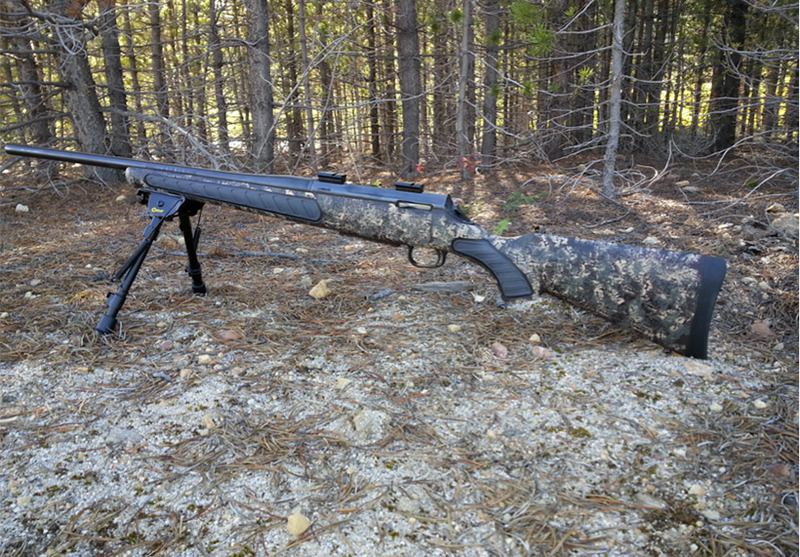 The rifle that I will be hunting with this year is a Thompson Center Venture Compact .308. As you can see, it is a plain black color with grey rubber inserts. This is not exactly colored to blend in with the environment. The first step in this process is to tape off everything that you do not want paint on. I like to use blue painter’s tape as the first layer because it does not leave residue. Then, on top of that, I use white masking tape to make the paint more visible when the overspray gets onto the tape. 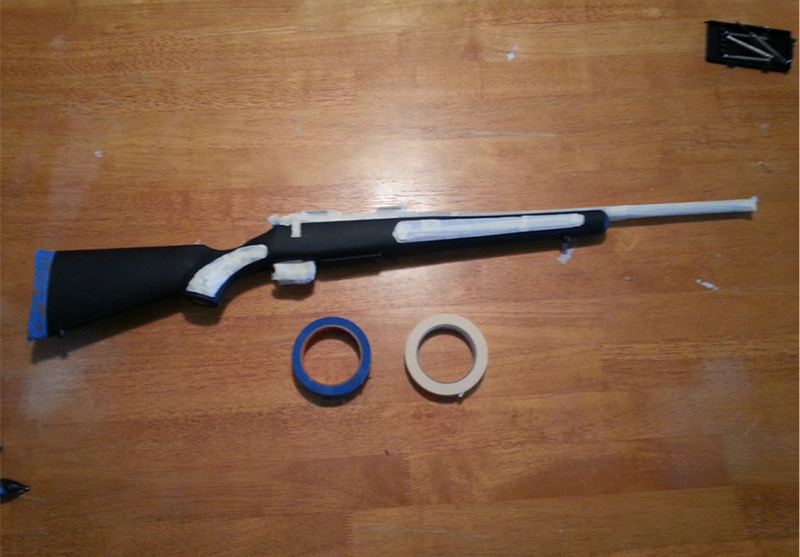 Most guns will not require this much tape; however, because this TC has rubber inserts, I taped over them since the paint will not stick well to the rubber. *The most important part of this step is to make sure paint can't get into any moving parts such as the trigger and the action. To ensure that this doesn't happen, I place a paper towel into the action and tape heavily over it. The trigger guard also gets taped heavily. 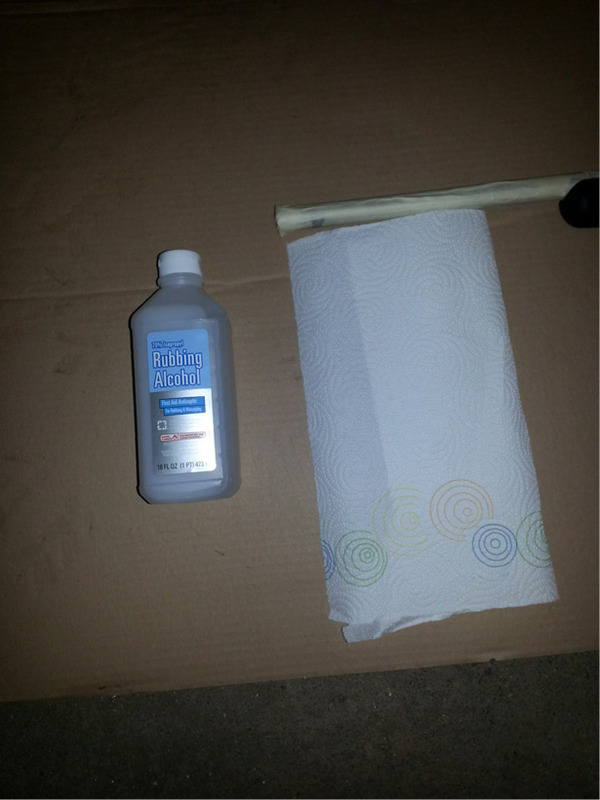 The next step is to wipe down all the surfaces that will be painted with rubbing alcohol. This rubbing alcohol will remove any oil on the painting surface without being as harsh as using acetone or paint thinner. Ensuring that there is no oil on the surface will help with the paint adhesion. 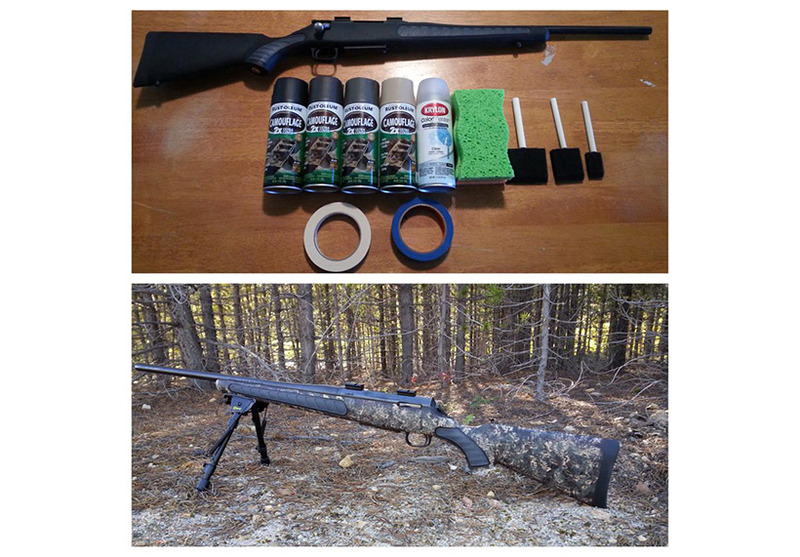 Depending on where you are hunting, your base coat color will vary. For Colorado, I decided on doing a brown base coat. In New Mexico, I use a tan base coat. In a place that is really green and lush, a green base coat will probably be best. 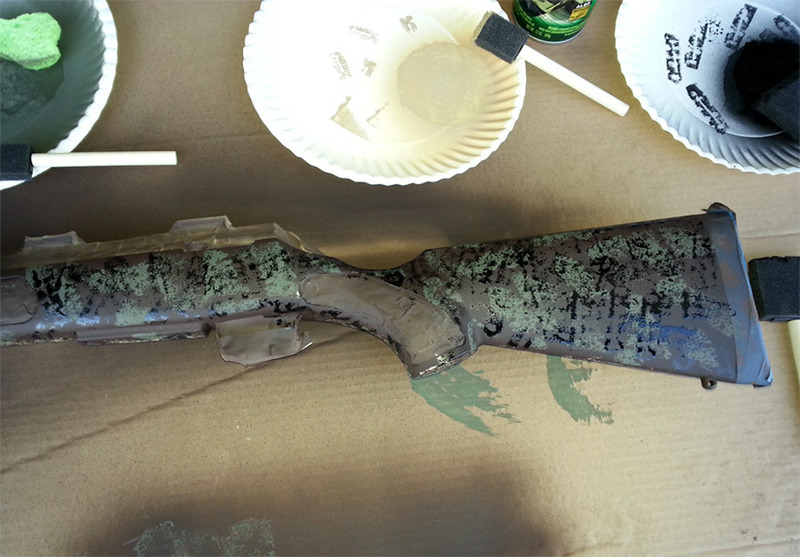 I put two coats on the base coat to ensure that I have gotten every part of the gun. I have found that short, light strokes from the spray paint can work best. 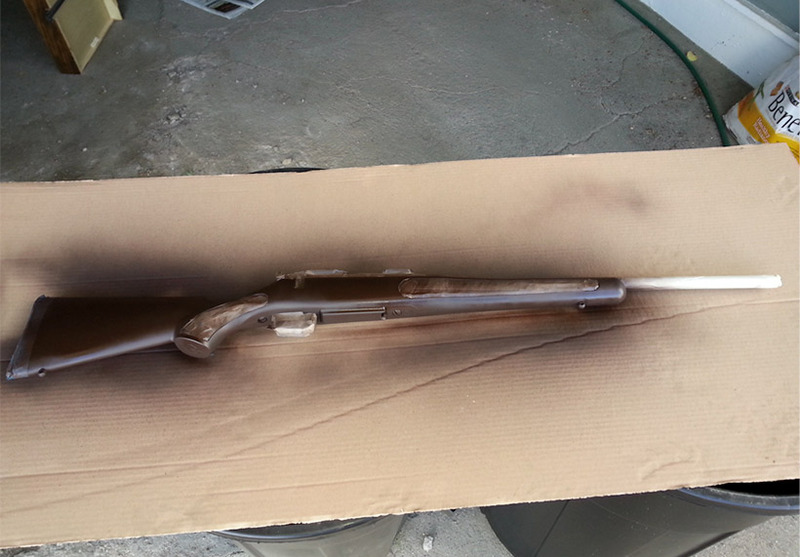 Make sure not to spray too close to the gun so that the paint doesn't run. 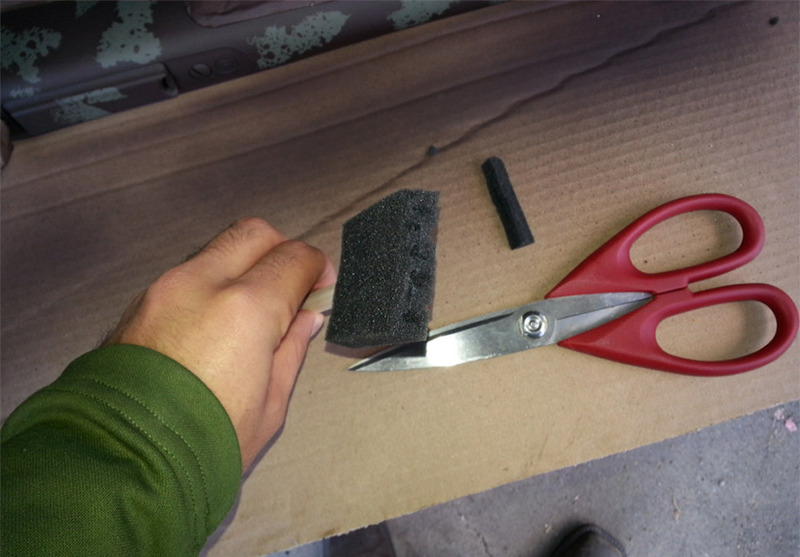 The next step is to cut the sponge into an odd shape. 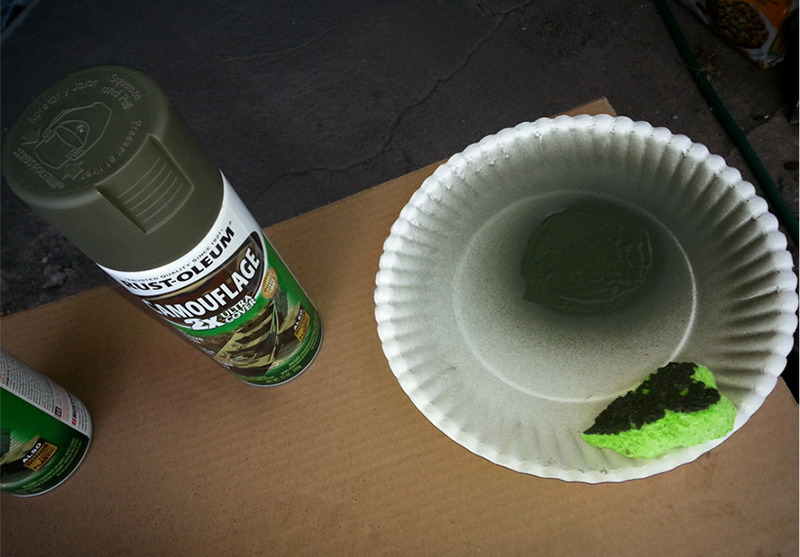 Spray enough paint on the paper plate so that you can dip the sponge in it and use it to dab onto the gun. 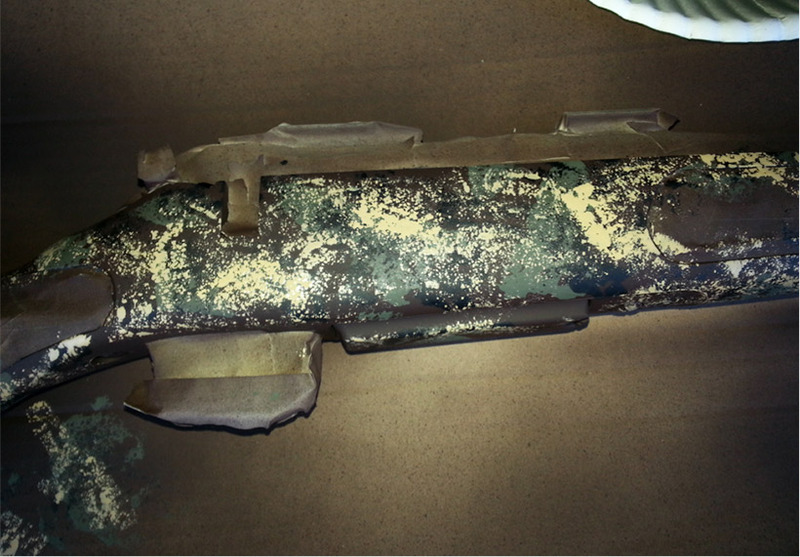 Dab the sponge on the entire gun in no particular pattern. Once again, this is your gun for your terrain, so use whatever color you know will work best in your terrain and vegetation. The next step is to get a foam paintbrush that is used for wood stain and cut the top off so that it is a flat edge at the top. After cutting the top off, we still want some texture on the pattern. Pluck pieces out of the top and corners of the brush in order to give it this texture. I like using a medium-sized foam brush for this. 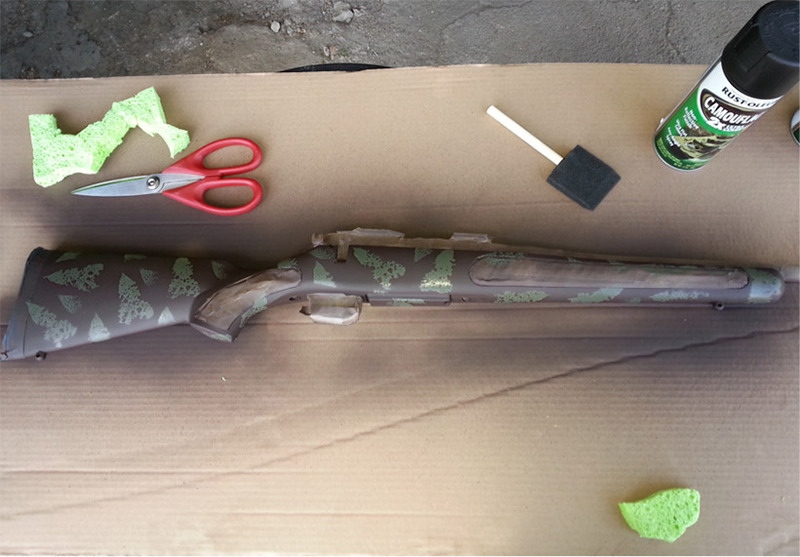 Just as you did with the sponge, do the same with the foam brush – random patterns, but make sure the gun is covered. For the final color, I like to use a small foam brush. Go ahead and cut the top off and pluck this one, just as you did on the previous brush. For the final color, I like to use very light dabs. You don't want to cover up your base coat or other patterns. Very light dabs should give you this result. 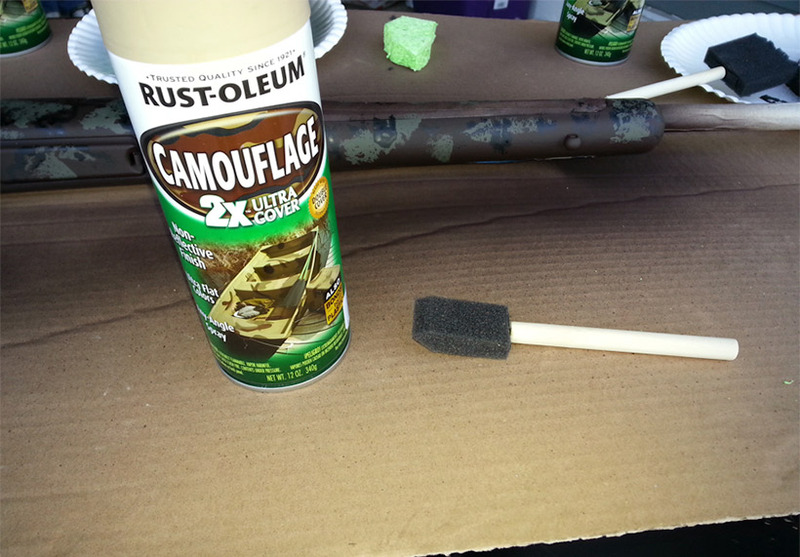 After you are satisfied with your pattern, use the flat clear coat spray paint to give your camouflage paint job more durability. It is important to get the flat clear coat because it will prevent it from being glossy and shiny like a regular clear coat will do. Here are the final results of the camouflage paint job. It blends in very well with this Colorado terrain. 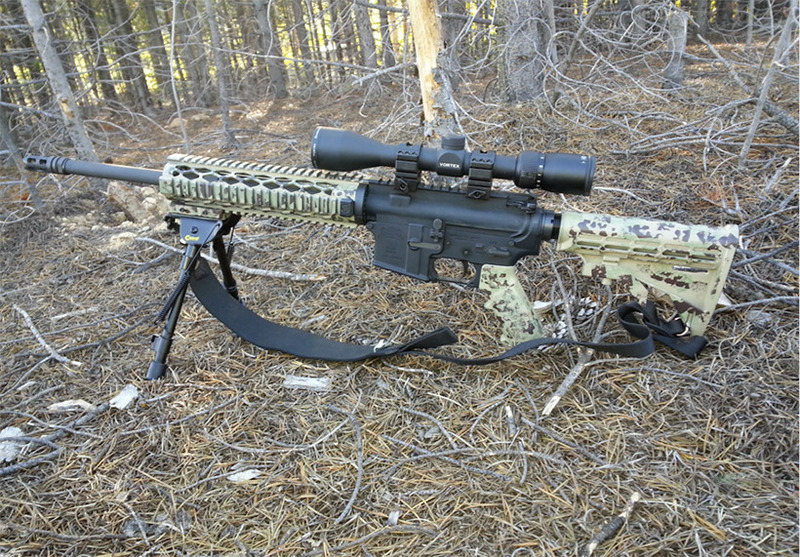 Here is another camouflage paint job that I had done to match New Mexico vegetation. I took this picture to demonstrate how much of a difference that proper camouflage can make. This one doesn't blend in nearly as well as the new custom camouflage. As you can see, matching your gun's camouflage to your terrain can greatly increase your concealment and thus increase your chances of filling your tag. Best of luck out there!